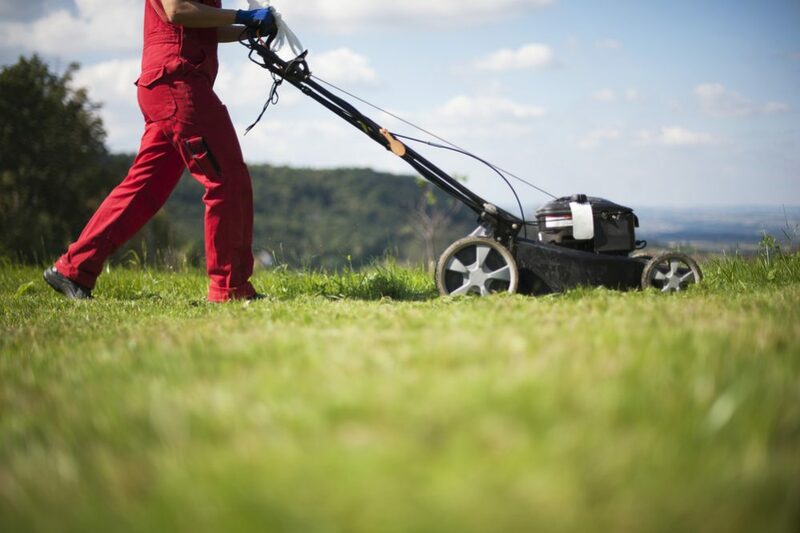 Mowing the lawn can be a bore and a chore – and if you’re not in particularly good shape or if you don’t have a perfectly flat patch of grass, it can also be exhausting. If this sounds familiar, you need a Self Propelled machine – so here are our picks for best Self Propelled Lawn mower. This Self Propelled mower from Greenworks is a battery-powered model with loads of useful design features that make it as easy and convenient to use as possible. With many battery-powered models, one of the biggest problems is that once your battery runs out, you have to stop mowing to charge it up. Even if you have a spare one, you still need to stop to fetch it and then change them over. However, with this mower, it has a dedicated compartment for the spare battery, meaning you can easily carry it with you while you are mowing. When the first one runs out, you just switch them over “in the field” and carry on. The batteries are the same as those for other tools in the Greenworks range, so you may already have one or more at home. The batteries are also super-quick to charge, so even if they do all run out, you won’t have to wait too long before you can start working again. Another great feature of this mower is the above-average sized wheels. These can handle uneven terrain much more easily than regular-sized wheels, also making it easier to mow. This is especially useful if you don’t have a perfectly flat lawn. We like the fact that this is a 3-in-1 model, too. When you are mowing, you have the option of bagging the grass cuttings, mulching directly or using the side discharge mode to simply spray the cuttings back out over your lawn. It is very easy to adjust the height, too. With one simple lever, you can choose between seven different mowing heights, allowing you to cut your lawn to exactly the height you want it. This is a great option for anyone looking for a quiet but powerful and reliable battery-operated Self Propelled mower. It is practical and convenient to use, quick and easy to start and will make cutting your lawn a breeze. Great value for money and highly recommended. If you are looking for a gas-powered Self Propelled Lawn mower that will make taking care of your lawn significantly easier, this model from Remington may be of interest. Remington is a well-known and trusted brand, and this mower is another excellent product. First of all, the 159cc OHV engine will give you plenty of power to deal with even rough or long grass. The auto-choke feature helps ensure the mower won’t become stuck in longer grass and shut down, allowing you to simply plough on through. The broad 21” cutting deck is designed to give you maximum coverage, meaning you will require few passes to mow your lawn, saving you time. It is front wheel drive and also has variable speeds, allowing you to mow at your own pace or according to conditions. One useful feature is the adjustable mowing height. You can choose between six different heights, depending on your own preferences as well as your grass type – with the dual lever system, it is also extremely simple to select the height you require. This is a 3-in-1 mower, meaning it allows you to choose between bagging, mulching or simply ejecting clippings from the side. We particularly like the SureCut blade system that lifts and circulates grass clippings as it cuts. This ensures that whichever mode you choose, the clippings will be ejected evenly with no clumping, making them easy to use or dispose of as you see fit. This mower is also extremely simple to use and is practically ready to go right out of the box – you simply add oil and gas and you’re ready to go. The handles are easy to adjust, making it suitable for all gardeners, both tall and short. If you’re looking for a reliable and powerful Self Propelled mower from a respected brand that can handle even tougher mowing jobs, this Remington model is an option that should definitely be on your shortlist. This gas-powered self-propelling mower from Troy-Bilt is a powerful unit that is designed to make taking care of even the unruliest of lawns as easy as possible. It packs a 163cc engine built by Briggs & Stratton that will make short work of even long grass and unkempt lawns. 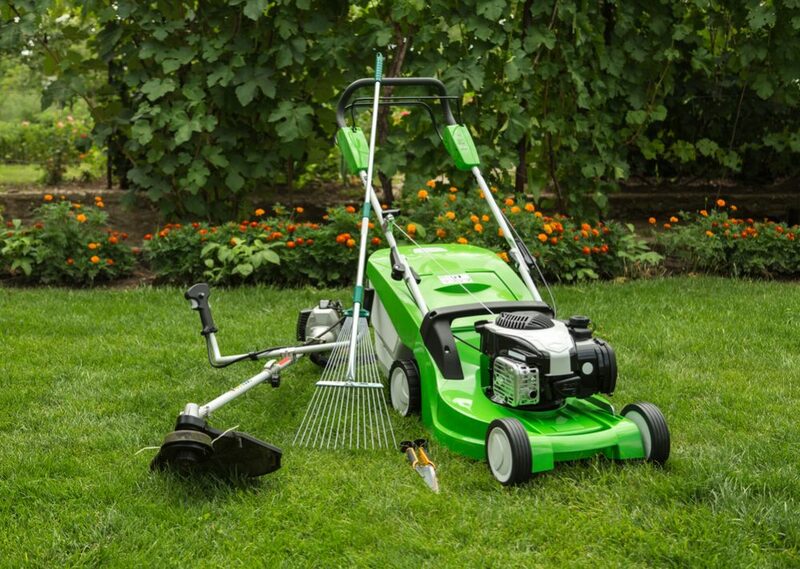 It features a large 21” cutting deck, allowing each pass to trim a broad swathe of your lawn. The TriAction cutting system ensures that each pass delivers a clean and even cut so you won’t need to go over the same area twice. This is also a 3-in-1 mower that provides three options, bagging, mulching or side ejection, giving you maximum flexibility over how you mow your lawn and what you do with the cuttings afterwards. It also includes a 1.9-bushel bag to collect up the clippings. It incorporates an integrated premium deck cleaner, making it quick and easy clean off any trimmings that become stuck to the underneath of the mower. This helps maintain the mower’s performance at the same time as prolonging the mower’s working life. The mower features variable speed settings, allowing you to mow at your own pace or as determined by the conditions. This is controlled by a single lever, making it as simple as possible to operate. We like the oversized 8” wheels, both back and front, making this mower suitable for uneven or lumpy patches of grass. This mower is also a back-wheel drive version, giving you extra traction and control – very useful when cutting a lawn that is less than perfectly flat. One final feature we also appreciate is the “no oil-change” engine. 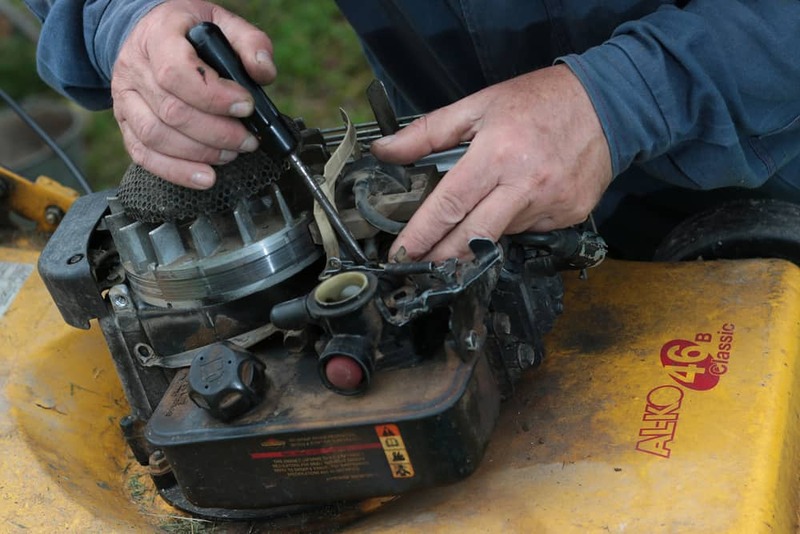 As the name suggests, this means the oil never needs to be changed – you just make sure it’s always topped up for the mower to function properly. This feature helps simplify overall maintenance. This is a mower with a respectable amount of power and is suitable for those with tough lawns or larger gardens that require something strong enough to cut through rougher grass. If you want something that will simplify looking after this kind of lawn, this mower is a top pick. If you like the sound of the features included in the Troy-Bilt mower we’ve just looked at but you don’t need anything quite that big, this model might be a better option. In fact, even though this mower is from the same company, it is significantly different and would be a much better option for someone with a smaller area of lawn to cover – this would be the ideal pick for small or medium-sized gardens. This one is a front-wheel drive version and features 7” front wheels with larger 11” back wheels. While this would be suitable for flat gardens, the big back wheels also mean it would work well enough on more uneven surfaces. It also features easily-adjustable height settings – you can select the clearance with the dual lever system, allowing you to customize how much grass you leave behind when you mow. Heights range from 1.25” to 3.75”. Although this is a lightweight mower, it still includes a generous 21” cutting deck, reducing the number of passes required to finish your lawn. As with the larger model, it also features the TriAction cutting system, which is designed to cut the grass cleanly and evenly while minimizing the need to go back over the same areas of lawn a second time. Just like its bigger brother, this is also a 3-in-1 mower. This means you can choose to collect the cuttings in the 1.9-bushel bag that comes with it, to mulch directly or to have the cuttings ejected from the side of the mower. This gives you the maximum flexibility over how you manage and dispose of your cuttings after mowing. As with all garden tools from Troy-Bilt, this is a high-quality and reliable mower that is built to last. If you don’t need the power and size of the 163cc back-wheel drive model and prefer something smaller and more manageable, this mower could be an excellent alternative. This is a well-designed and high-quality battery-powered Self Propelled mower that is designed to speed up cutting the grass and make it much less of a chore. It includes variable speeds to allow you to go as fast or as slowly as you like or as conditions dictate. It features a wide 21” cutting deck, allowing you to cover as much ground as possible with each pass, and you can choose from between seven possible height settings to cut your grass to whatever height you desire. The battery-powered engine is made by Briggs and Stratton, and a single 82V lithium-ion 2.0Ah battery will give you up to 45 minutes of lawnmowing time. The mower comes with two batteries, allowing you to work for up to an hour and a half with only one change of battery. Another useful feature is that the batteries are also extremely fast to charge – this will help minimize wait times in between mowing sessions when you have larger areas of grass that need cutting. Since it is a battery-powered mower, it is also a lot less noisy than similar gas-powered models. Your ears – and your neighbors – will thank you for it. Another advantage of choosing a battery-powered model such as this is the simple push-button starting system. While with gas models, you usually have to pull a cord, with this mower, you simply press a button and you’re ready to mow. This is another 3-in-1 mower, meaning you have three options for what happens to the clippings. 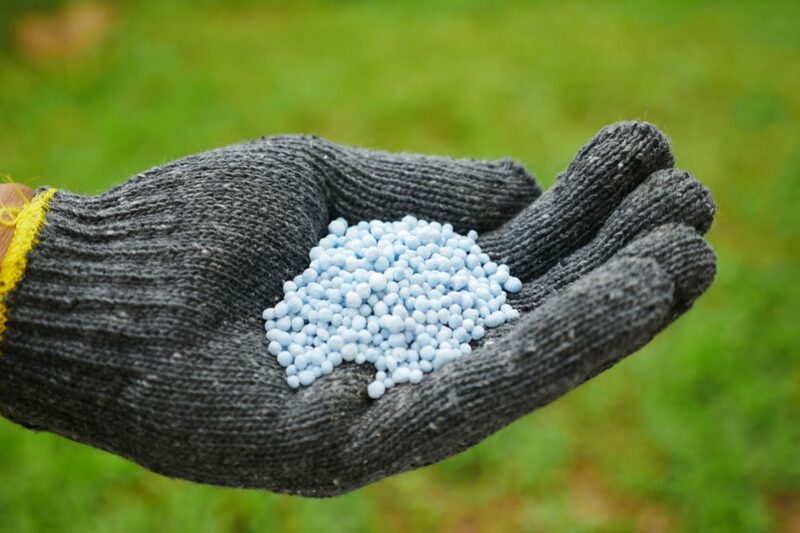 You can either opt to collect them in the 2.1-cubic foot bag that comes with it, you can mulch directly, or you can eject the cuttings from the side. Overall, this is an excellent pick for anyone looking for a self-propelling mower and who prefers the advantages of choosing a battery-powered option. If you want a quiet, efficient mower that will simplify tending to your lawn, this is another model that’s worth looking at. 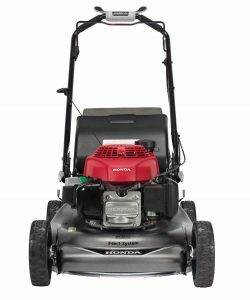 If you want the power of a gas-powered mower with plenty of extra features, this unit from Honda is another model worth checking out. It features a powerful motor and is especially good at producing finely chopped cuttings that are ideal for mulching. It achieves this with several dedicated design features. First, it incorporates micro-cut twin blades. While these might be a little harder to sharpen than other types of blade, they make short work of grass, leaving finely shredded cuttings that are ideal for mulch. It is also a 3-in-1 mower, so you can choose to collect the cuttings in a bag, mulch directly or blow the cuttings out of the side. Whether you need your cuttings for compost or for mulch, this mower will deliver the perfect material for all uses. It incorporates a powerful gas engine. One thing we like about this mower is that even though it is a gas version, it is still easy to start. It has a pull-cord system, but it almost invariably starts on the first pull. It also has an auto-choke to help prevent it from shutting down. Another great addition is the adjustable mowing height. You can choose between six different options ranging between 1⅛” and 4”, giving you plenty of flexibility over how long you want your lawn. It also has easily controlled variable speeds, ranging between 0mph and 4mph. When you want to pick up the speed over the flat, easy patches, this mower lets you do it with the squeeze of the handle. However, when faced with obstacles that you need to navigate slowly, you can slow to a snail’s pace as you make your way around. This allows for great precision when mowing lawns that aren’t simply square-shaped or rectangular. This is a reliable and powerful mower from a highly reputable brand that has many years of experience in making such tools. If you are looking for a high-quality and functional Self Propelled mower that will get the job done, you would do well to check out this Honda. If you want a well-designed, ergonomic self-propelling Lawn mower with a wealth of useful features to enable you to cut your grass effortlessly and with great precision, this PowerMax model should be high on your list of options. It features a brushless motor, making it more reliable and more durable – brushless motors perform better and last longer than other types. It is battery-powered, making it far less noisy than comparable gas-powered models, and with the twin 84v lithium batteries that come with it, you can expect around 70 minutes of mowing time before you need to recharge. Even if the batteries do run out, they charge quickly. After only 30 minutes of charging, you will be ready to go again. One of the best features of this Lawn mower is the SmartCut technology that automatically detects the load and adjusts the power and cutting level. Cutting height is also adjustable, and you can easily select one of six heights, from 0.9” to 2.7”, with a simple lever. The cutting deck is 20”, which offers an effective cutting path capacity of 19”. 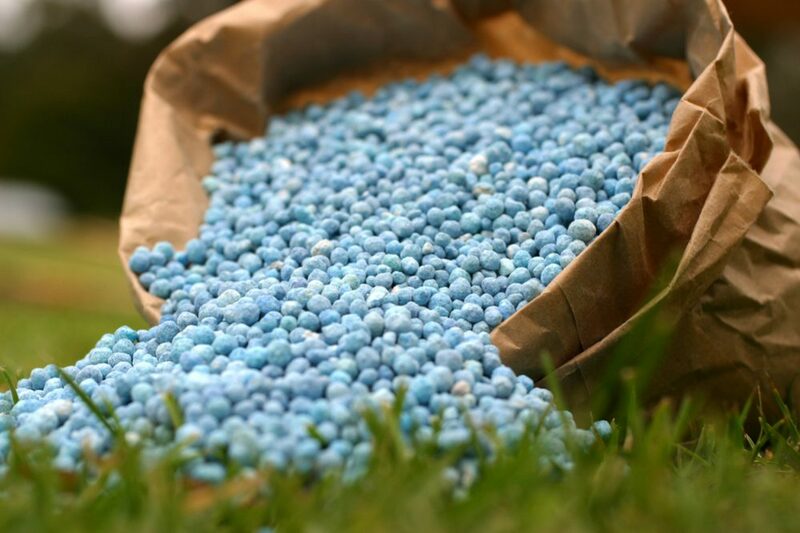 This makes it the ideal option for lawns of around 3,000-5,000 square feet. It also includes a capacious 15-gal bag that collects the cuttings – and you can easily see when it gets full. Operation is simple, with highly intuitive controls on the handle. The press-to-release system only starts the mower when you push in the button, meaning it’s impossible for the mower to start rolling away on its own if you aren’t holding it – a handy safety feature. When not in use, it also folds away very small – an important point, especially if your home or garage does not have a lot of spare space. This is a slick piece of kit and will appeal to anyone who likes their garden tools to perform to high levels. With this mower, you will be able to take care of lawn maintenance with ease, with none of the physical strain of using a regular mower. Another outstanding machine. If you’re looking at Self Propelled Lawn mowers, you might have a few questions. What are Self Propelled Lawn mowers? What are the advantages? And would it be a good move to purchase one? First, we’ll have a look at what they are and why you would want one – then we’ll give you some tips on choosing the best one for your needs. The Self Propelled Lawn mower is a wonderful invention. Back in the old days, Lawn mowers were heavy, and pushing one around to mow the lawn took a lot of physical effort. 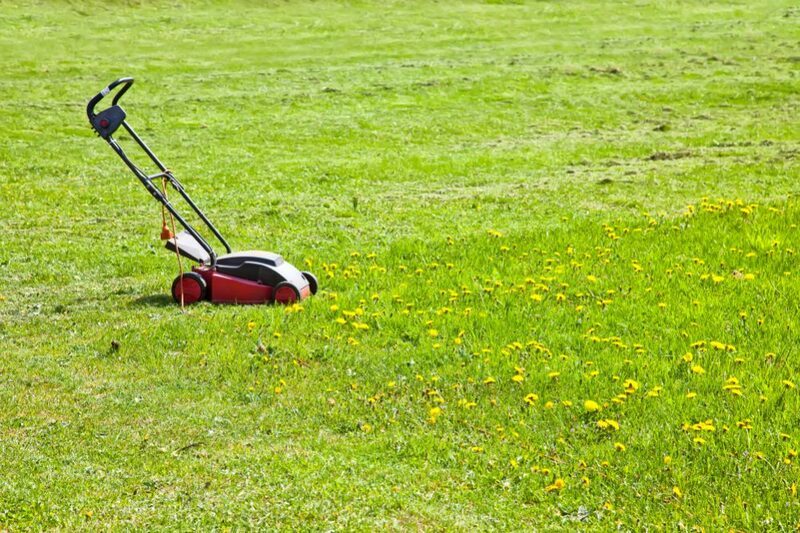 If you had a large lawn to tend to, grass cutting was not an activity everyone always looked forward to. Then along came self-propelling Lawn mowers to solve the problem. The clue is in the name – self-propelling Lawn mowers are Lawn mowers that don’t need pushing since they move by themselves. All you need to do is guide them, something that is much less strenuous. Usually, they have some kind of button or switch, and when you hold it down, they move forward. When you let go, they stop. It’s really that simple. What are the advantages and who needs one? The main and most obvious advantage of a Self Propelled Lawn mower is that it doesn’t take any physical strength to use. Any adult who can reach the handle and squeeze the controls can use one, and you don’t need to be a big, strong person to do it. This means they are particularly suitable for people who for any reason can’t push an old-style mower. For example, if you tire easily or suffer from any medical conditions that prevent you from doing strenuous work, a Self Propelled mower could be a good solution. Even if you’re simply getting on a bit and can no longer push a heavy mower the way you used to, a Self Propelled model could be the answer you’re looking for. They are also useful if your lawn is not perfectly flat. Even people with plenty of strength may tire when pushing a Lawn mower up and down a hill all day, and bumpy, lumpy ground also makes it more difficult. In these kinds of situations, a Self Propelled mower will make light work of your otherwise arduous lawn mowing tasks. Finally, if you simply have a lot of land to cover, a Self Propelled mower might make things easier for you. 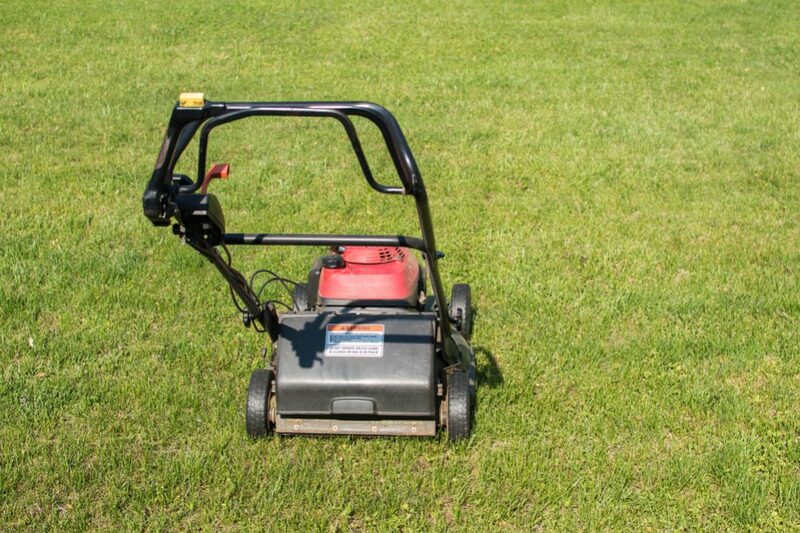 If you have a very large garden to look after, you might opt for a sit-on mower, but they can be very expensive. A self-propelling mower might be a more affordable choice. 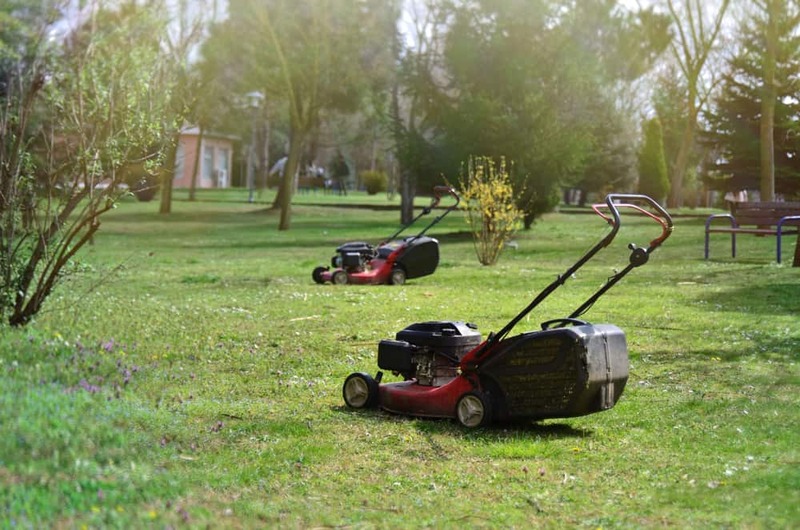 If you think a self-propelling Lawn mower might be the right option for you, you’ll probably want to know the kinds of thing to look for to help you choose the right one. Let’s have a look at some of the main features now. Probably the first aspect you will want to look at is how the unit is powered, and there are, broadly speaking, two options – battery power or gas power. 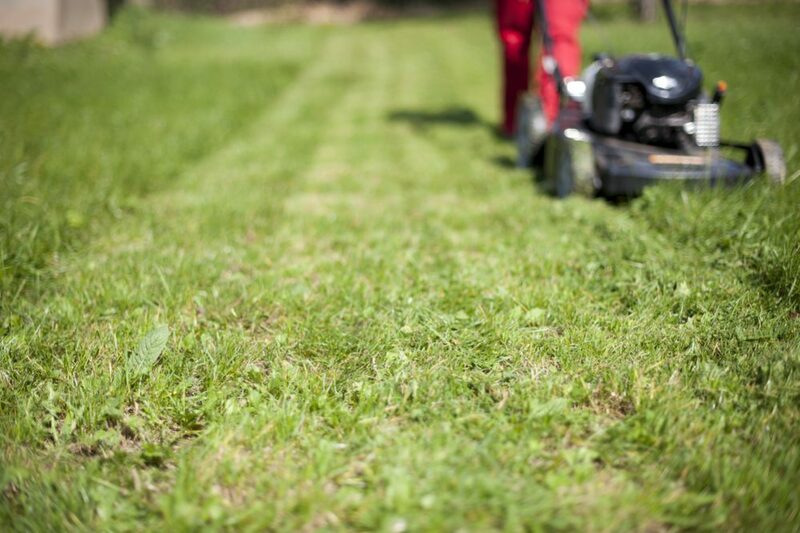 Gas-powered mowers tend to be the most powerful and can be used to tackle the most heavy-duty garden tasks. If your garden is large or tends to become very overgrown before you have time to cut the grass, a gas-powered mower might be best. They also have the advantage of never running out of power. If your mower runs out of gas, you simply top it up and carry on. However, they are usually much louder than battery-powered versions, so if you or your neighbors are particularly sensitive to noise, you might prefer a battery-powered one. Bear in mind, too, that they also give off harmful emissions. The advantages and disadvantages of battery-powered mowers are the opposite. They are quieter and less polluting but tend to be less powerful and don’t last as long. When the battery runs out, you need to wait for it to charge before you can continue. 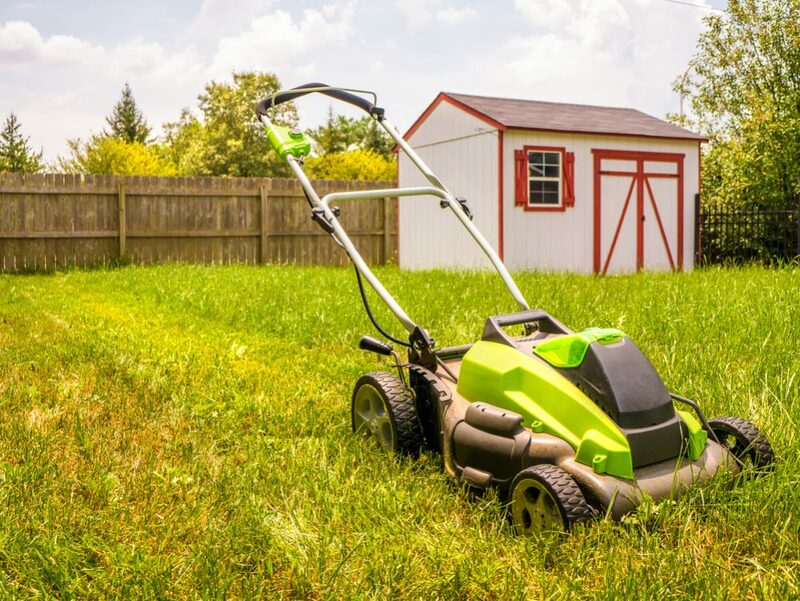 Also, if opting for a battery-powered model, pay attention to how long the battery lasts – as well as whether a second battery is included with the mower. One last point to remember is that battery-powered mowers are usually easy to start – gas-powered models still use the traditional pull-cord method and sometimes it needs quite a big tug to get the engine running. 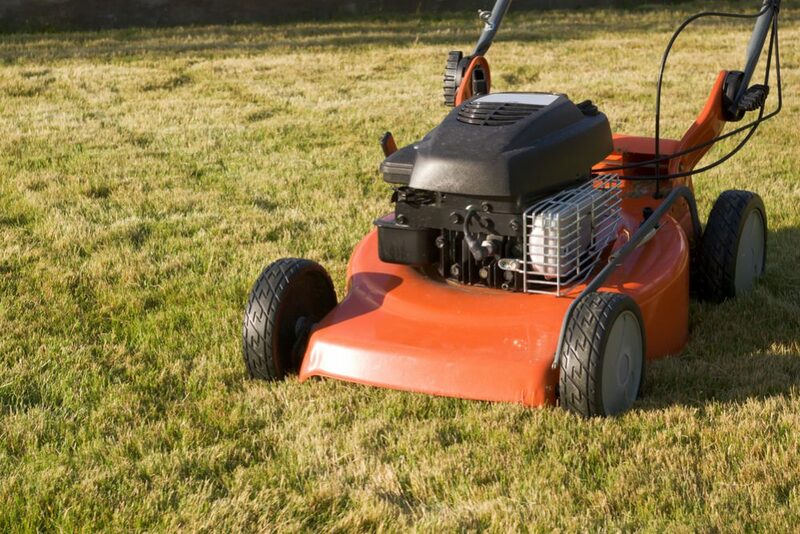 Make sure you match the power and size of the mower to the area of ground and the conditions you need to mow. There’s no point spending more money than you need to on a powerful mower if you only need to cut a flat lawn in a small yard. 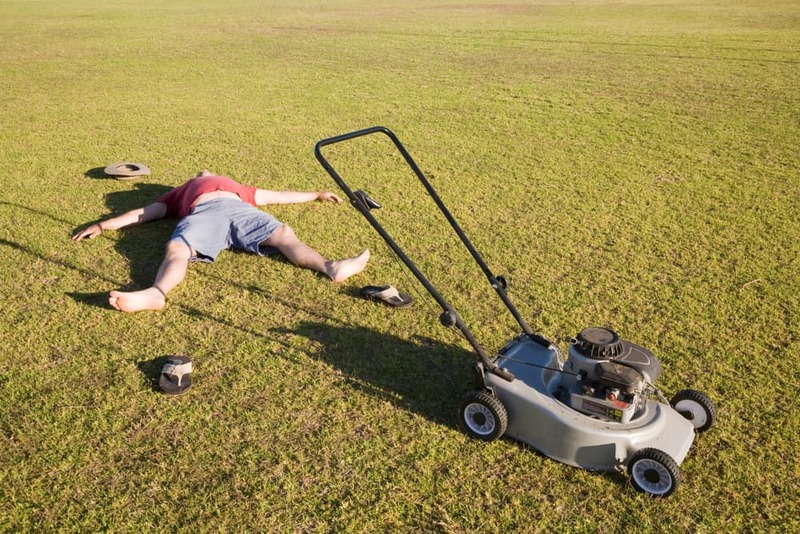 Also, even with a self-propelling mower, pushing one that is bigger than necessary will still end up making you tired. 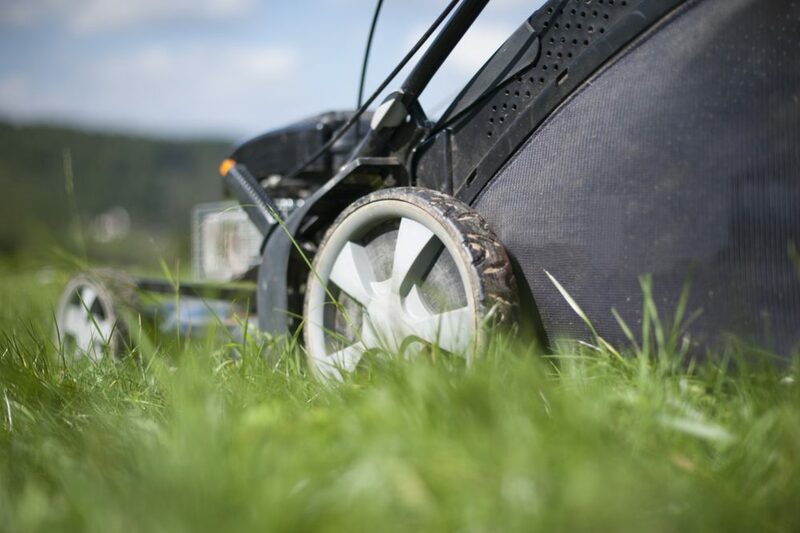 Larger wheels can make it easier to cut the grass if your lawn is uneven. If your yard isn’t flat, this might be important for you. Most modern Lawn mowers are 3-in-1 models, and this refers to how they collect the grass cuttings. They usually have different configurations, allowing them to be set to catch the grass in a bag, spread the grass cutting directly as mulch or simply blast the cuttings out of the side. 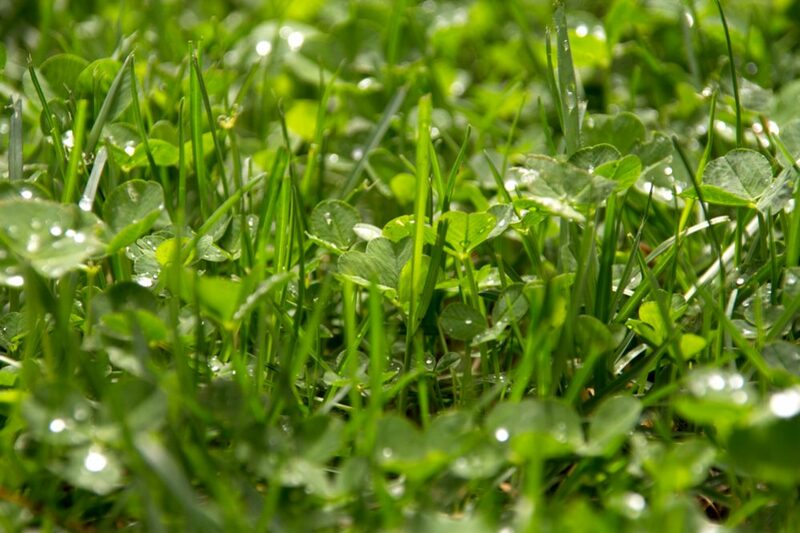 Since grass cuttings can be used to add to a compost pile or as mulch, having the flexibility to choose what happens to the grass after you have cut it is a big plus. 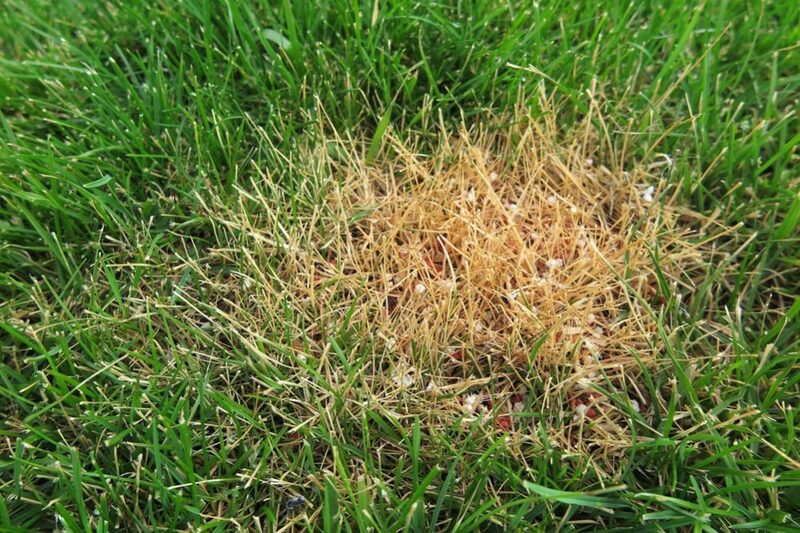 Sometimes we tend to forget that lawns are made up of thousands of plants, and if we cut grass too short, it can damage it. 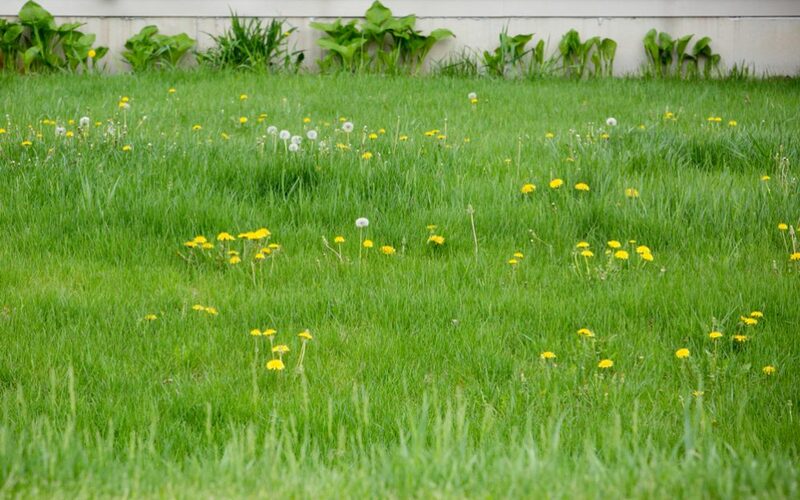 How short we can cut grass depends on the species, and having a mower that allows you to select the height means you can adapt it to your lawn. Some people might also simply decide they prefer to cut their grass very short or leave it a bit longer – and being able to adjust the mowing height gives you control over how you do it. This is an important feature to look for on a self-propelling Lawn mower. Some models can only run at a single speed, meaning you have no choice but to follow behind at your Lawn mower’s pace. However, other models allow you to put on a turn of speed when you’re on flat and open lawn – or when you’re just in a hurry – while giving you the option to slow down when you need to navigate obstacles. Look out for how many speed settings a Lawn mower has as well as the maximum and minimum settings. There is some debate concerning the relative merits of front- and back-wheel drive mowers. The general consensus is that back-wheel mowers give you more grip and are more suitable for uneven terrain while front-wheel models do better on flat lawns. Front-wheel models are usually cheaper, so if you won’t be tackling grass on bumpy lawns or on slopes, front-wheel drive might be the way to go. This refers to how broad an area is covered with each pass of the mower. A larger deck size means fewer passes, saving you time. 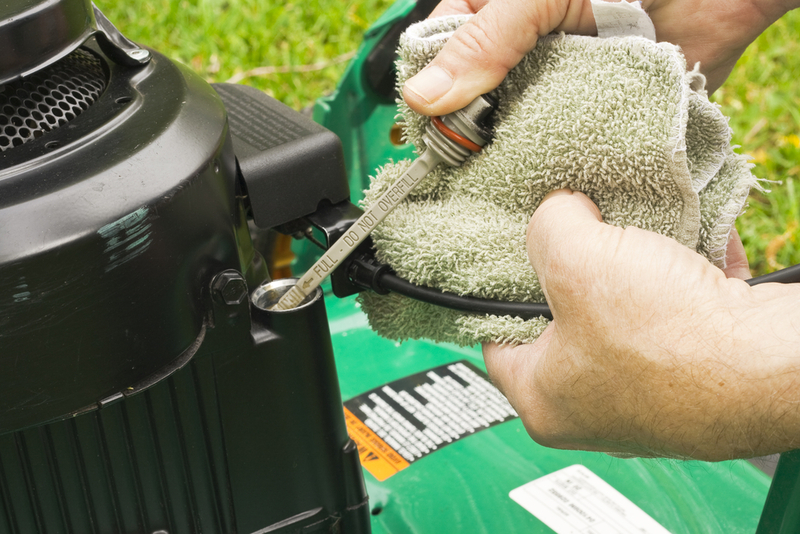 Pay attention to any space-saving features that a mower might have. For example, fold-away Lawn mowers can save space when they are not in use – this may be an important consideration for some. If pushing a Lawn mower around all afternoon sounds too much like hard work, a Self Propelled one might be the answer to your problems. They take all the effort out of mowing the lawn and allow you tend to your patch of grass without the need to even break a sweat.